While not actually related to the music itself, I've always really liked the promotional artwork they did for the PS ports. 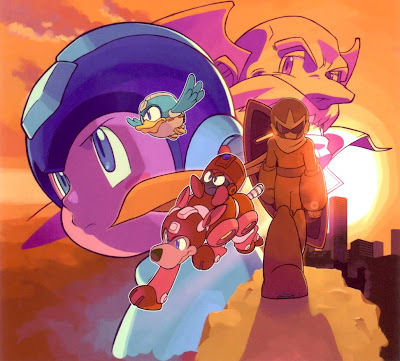 The artwork of MM5 being one of my favorites easy. I really like the artist's (Name escapes me, sorry) work he did for those. Hideki Ishikawa was the guy who did the box art for Mega Man: Complete Works 2, 4, & 5, while it was Ryuji Higurashi who did the cover artwork for Mega Man: Complete Works 1, 3, & 6.